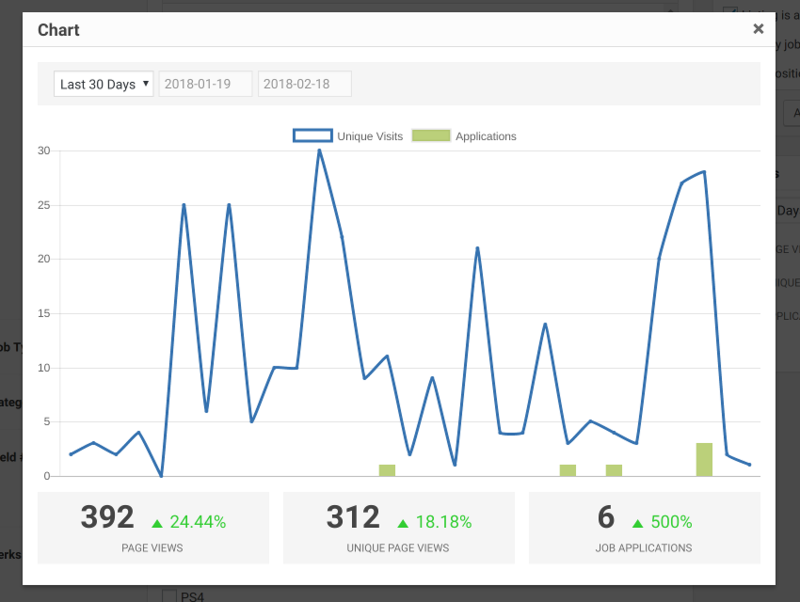 The Google Analytics integration allows your customers to view from Employer Panel statistics from the last 30 days about their Jobs page visits, page views, time spent on the site and the number of job applications. 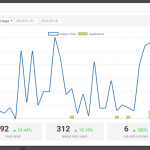 The data is presented using a beautiful chart so the users can visually see how a number of visits and submitted applications change over time. 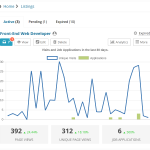 The chart allows your customers to tell if paying for a Job Ad on your site is worth it, are they getting any traffic to the ad? and are user spending time reading the Ad? This is extremely important data for your users, they can tell if there is any traffic to the Ad, the more traffic they get the more likely they are to post an Ad again. 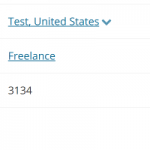 Show quick stats about the Ad in wp-admin / Job Board / Jobs panel while editing the Job. 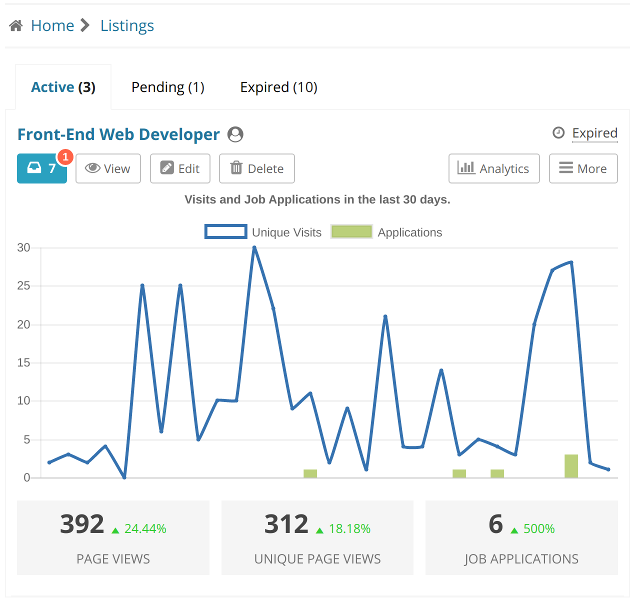 Show chart with a customizable date range in wp-admin / Job Board panel to quickly see how the Ad is performing. Make sure you have Google Analytics installed on your site. Allow the Google Analytics integration to access your Google Analytics data. 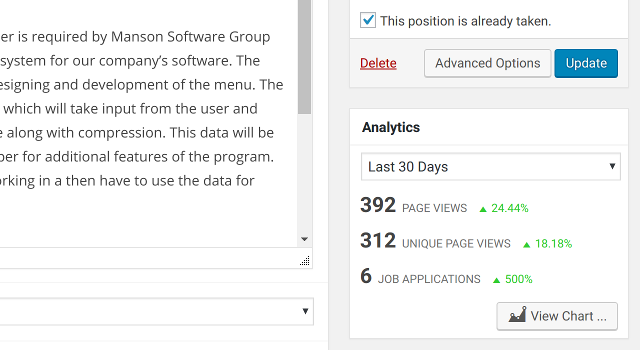 Analytics chart and stats in Employer Panel. 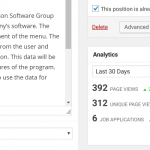 Page views on Job details pages.